A DOMINANT win from Triple Crown’s Gold Symphony in the Listed Civic Stakes at Rosehill on Saturday will see him continue to roll through the winter with trainers Peter & Paul Snowden looking to profit from his rich vein of form. 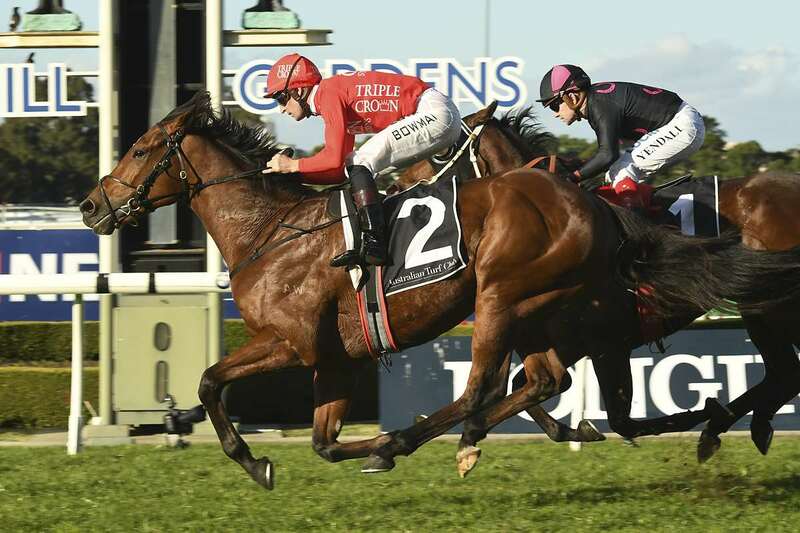 The four-year-old son of Reward For Effort has returned this preparation in near career best form following a gelding procedure and backed up a strong sixth place finish in the Group 1 Stradbroke Handicap at Doomben with a comfortable victory when dropped back in grade on Saturday. Michael Ward of Triple Crown said to the Weekend Big Sports Breakfast: “This preparation he’s come back and gone to a whole new level. “He was back in work four or five weeks this preparation when Peter & Paul said to us he’s a completely different horse. Gold Symphony’s superb form coupled with his ability to glide through wet tracks have led the Snowden team towards targeting him at a series of races over the next months, including the Listed Winter Challenge at Rosehill on July 29 over 1500m. “It was a good result and a great performance by the horse,” said co-trainer Peter Snowden. “He’s returned in fine form this preparation and it was good to see him win as well as he did. A dual Group 3 winner as a three-year-old, Gold Symphony has added a further $271,400 in prizemoney this season to take career earnings to over $500,000. Michael Ward also confirmed to Ray Thomas and Jimmy Smith that Redzel would be seeking a spot in the $10,000,000 The Everest on October 14. The Group 1 Doomben 10,000 winner has courted the interest of slot holders, and talks are progressing to facilitate his involvement in the race.